We’re very lucky at St George’s that each year we have a beautiful Easter Garden in church from Good Friday until Ascension. And each year on Good Friday, as we hear the story of Jesus journey to the cross the children are invited to plant the gar den with flowers, mini shrubs and herbs. 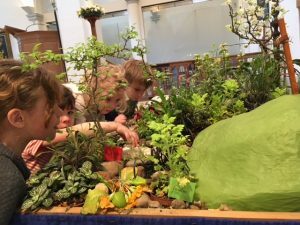 Each plant has its own special significance, for instance the pink and purple ‘Mary and Joseph’ remind us about Jesus’ birth, and the succulent ‘Eternal Life’ for the resurrection. 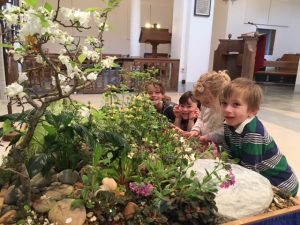 The Garden will be in church for a while yet, so do pop in and have a look if you have not already done so. Also, this year the church Christmas tree was ‘recycled’ into a lenten cross. The needles had long dropped off but branches were lopped, and the trunk was made into a stark and mean-looking cross. 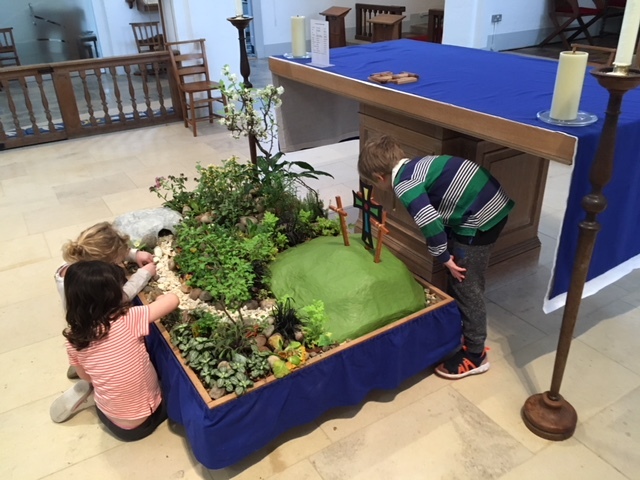 Each week during Lent as we followed the gospel accounts of Jesus’ last days, we placed symbols by the cross to remind us of their signif icance; a bowl and towel for foot washing, a bag of coins for Judas’ betrayal, and bread and wine to remind us of the last supper. 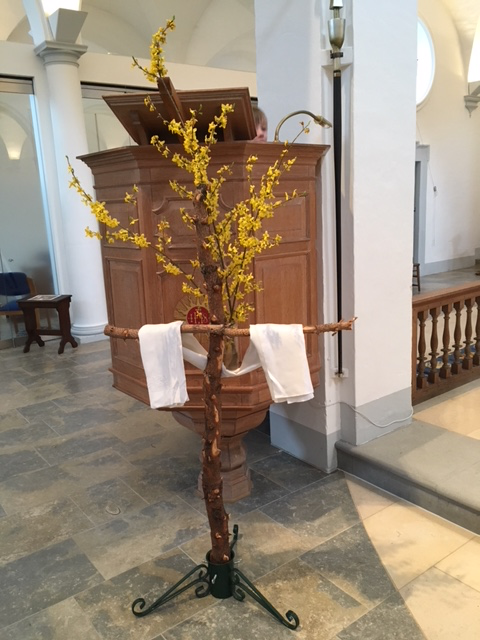 On Easter morning the cross was transformed with fresh flowers as a powerful symbol of the resurrection. Like the garden, the cross will remain in church until the end of the Easter season.